Indeed there is a lot to be thankful for. Books being one of them. 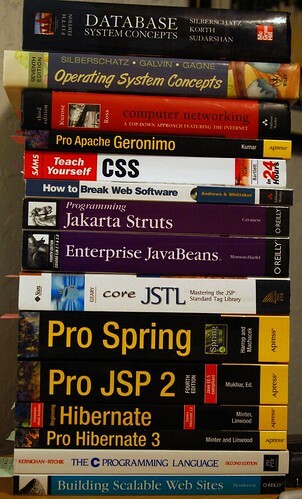 The books in that pile represent my excuse for not bing a very faithful blogger over the past few months. Between my full time job, and my full time school, my life has been all consumed. I'm grateful to be busy, even if at times that seems like more of a curse than a blessing. Not to be stuck up, or snotty, but I live a pretty good life. It may not all be cherries, but if I take a moment to really look at how things are, and where I am, I really shouldn't complain. Here's to beauty, love, and many things to be grateful for.